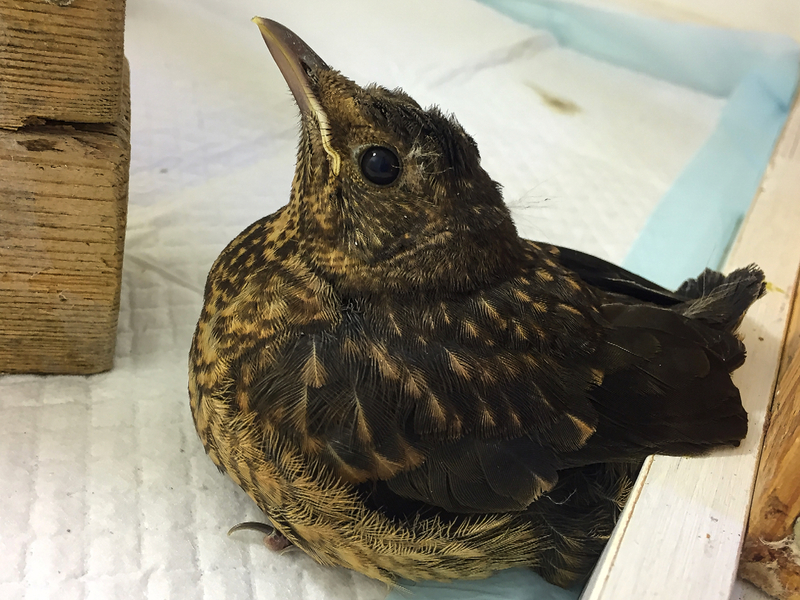 Orwell is a fledgling blackbird, who has been caught and injured by a cat. He suffered a puncture wound to his left wing as well as sprain injury of his left leg. Orwell has been treated accordingly, which did include a course of antibiotics to counteract a potentially fatal infection transmitted by the cat contact. Orwell settled in very quickly and was eager to be fed. 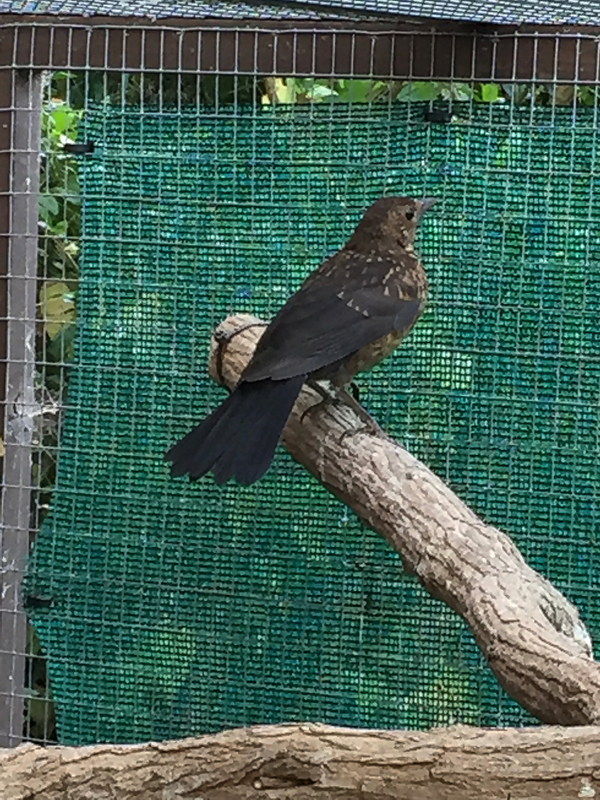 A couple of days later blackbird Orwell has been moved from his hospital box into a much larger flexarium, which is a soft fabric indoor aviary, to allow him to exercise his wing and leg without damaging his developing plumage. The puncture wound to his wing healed very well. The mild paralysis of his leg, caused by the sprain injury, which did obviously involve soft tissues and femoral nerve, has also completely resolved. 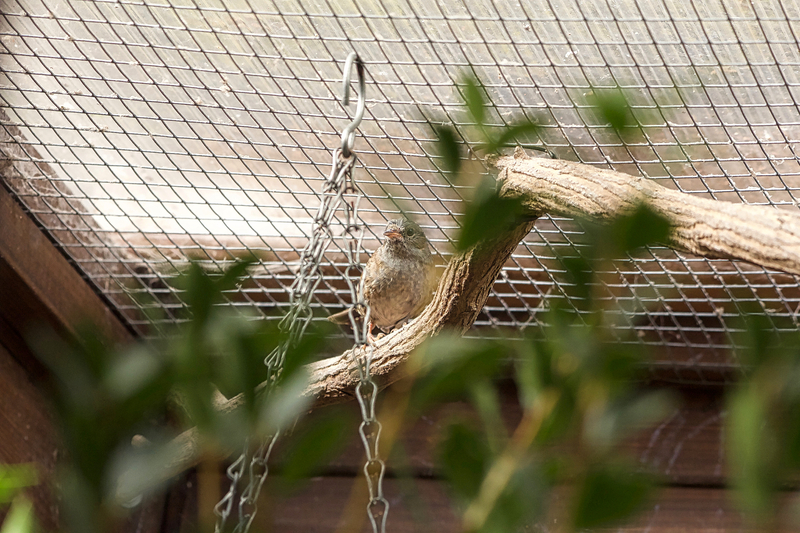 Today Orwell has been moved into our soft release outdoor aviary, as he is now independently feeding. 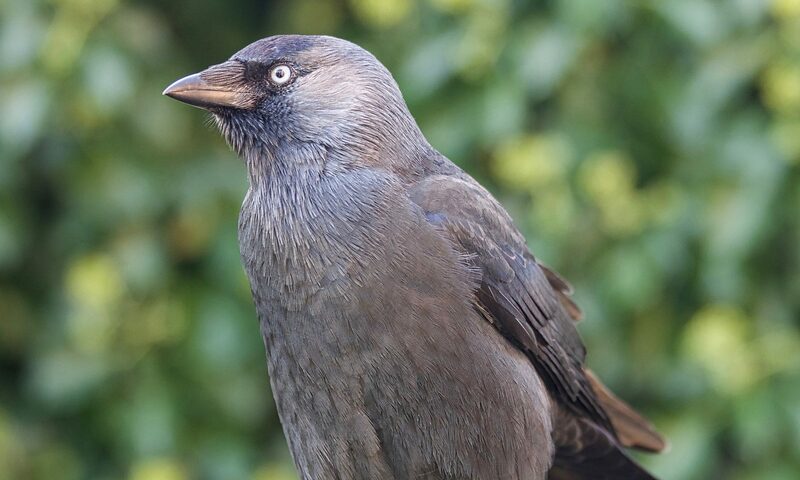 Birds which have been in care for more than a few days should be reacclimatised by housing in an outside aviary for a period of time (generally about two weeks) before release. 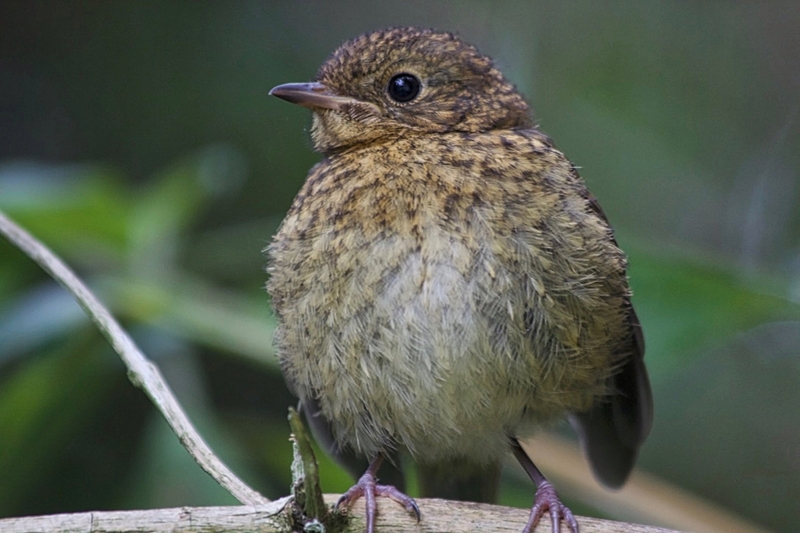 Fledglings also require an oppertunity to exercise to develop sufficient fitness prior to their release. The exposure to the elements will also encourage preening and ensure that the plumage is returned to normal waterproofing, which is important for any bird species. Orwell settled in very well into his new temporary home. Today blackbird Orwell has been successfully soft released. Stay safe Orwell! 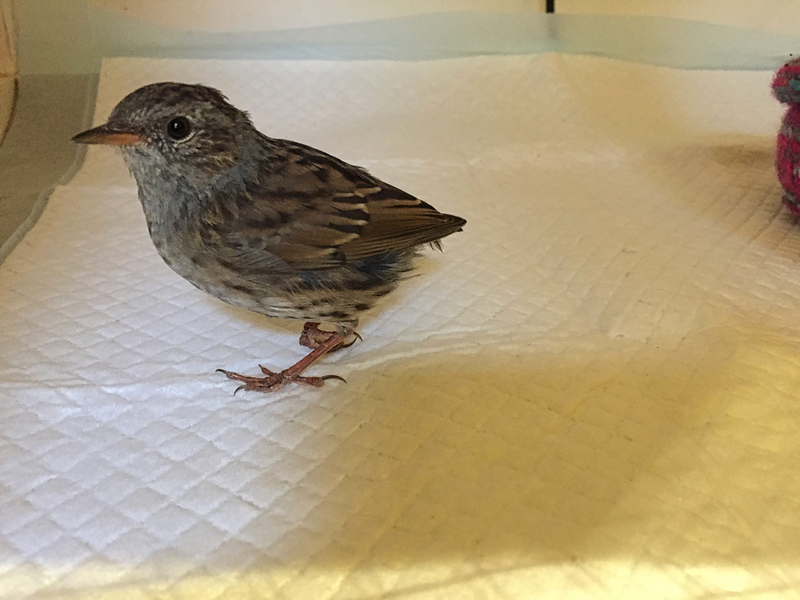 Ali is an immature dunnock, who has been brought to us, after being caught by a cat. Ali has been admitted with severe shock symptoms and had to be stabilised before a full assessment could be made. It took nearly 24 hours for him to recover from the shock inflicted by the cat attack. The full assessment revealed several bruises, puncture wounds, lost tail feathers and a sprain injury of his right leg. 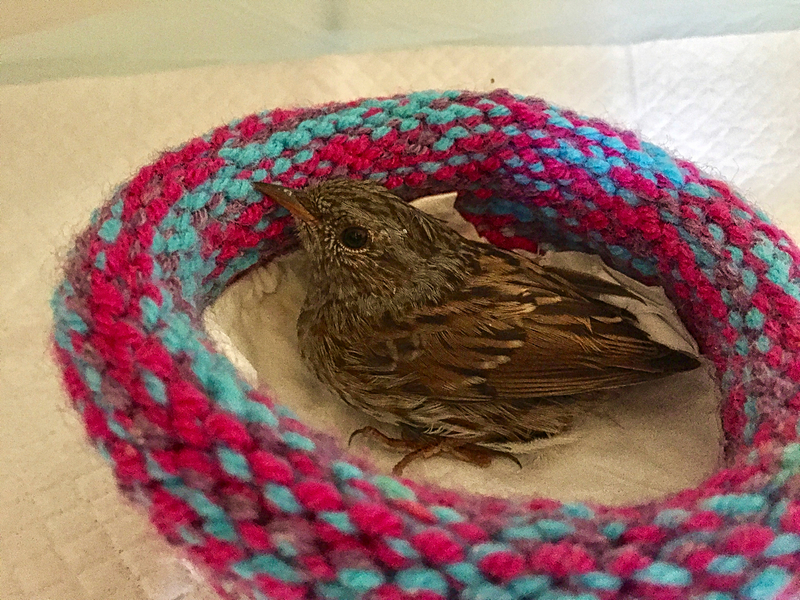 Dunnock Ali has been treated for shock, pain, bruises and the potentially fatal pasteurella multocida infection caused by the cat attack. 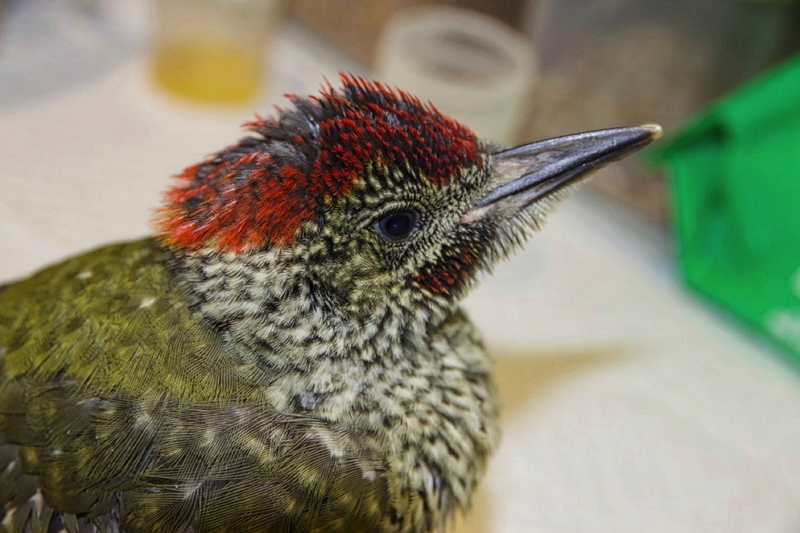 In this context it is important to understand, that all birds, in fact all animals, who have been caught by cats, have to be treated with antibiotics, even without showing any external signs of an injury. 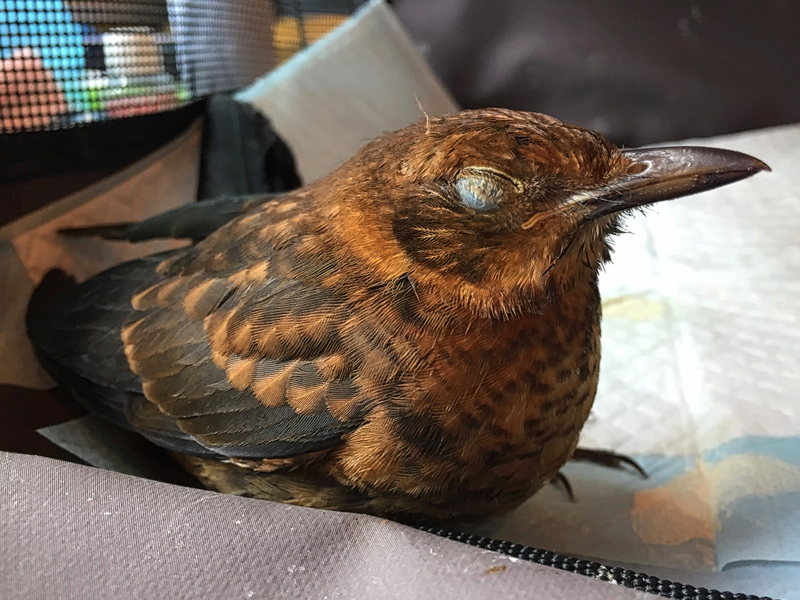 These animals will be otherwise killed by an overwhelming systemic infection or septicaemia, which would occur in birds within 72 hours post cat contact. As Ali’s leg symptoms didn’t improve despite treatment for trauma and nerve injury, we decided to tape the foot to assist the healing process. Four days later the tape has been removed and a brief assessment showed the return of the full functionality of foot and leg. Ali has been kept a few days longer indoors in a so called flexarium, which is a soft fabric mesh indoor aviary allowing him to exercise safely without damaging his plumage further, which is a common but avoidable problem when active birds like him are being kept for rehabilitation in the wrong environment like a wire cage. 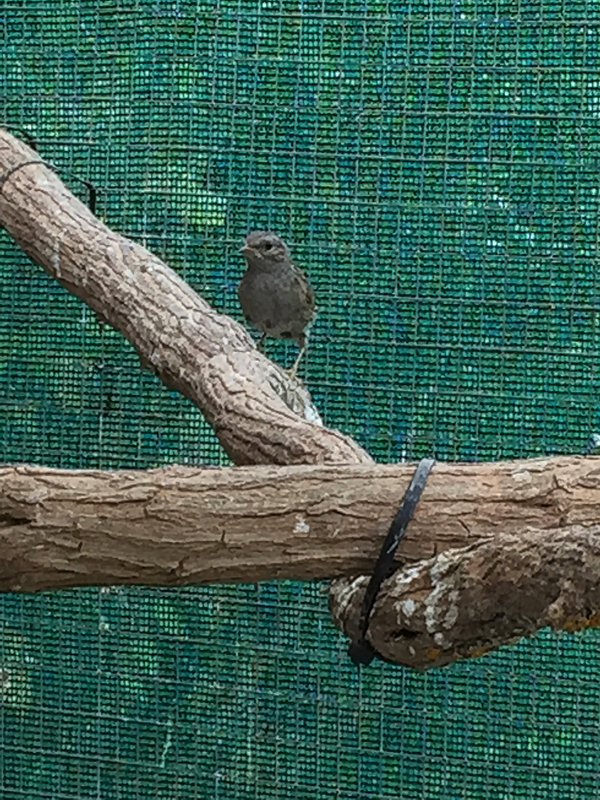 Today dunnock Ali has been moved into a large communal outdoor soft release aviary, where he will stay until he has acclimatised to outdoor temperatures and has had enough time to exercise and regrow his traumatically lost tail feathers. This will also give him a good chance to improve the waterproofing of his plumage, which is another often underestimated factor before being soft released. Soft release is the preferred release method to be used for hand-reared birds, juveniles or long term patients. 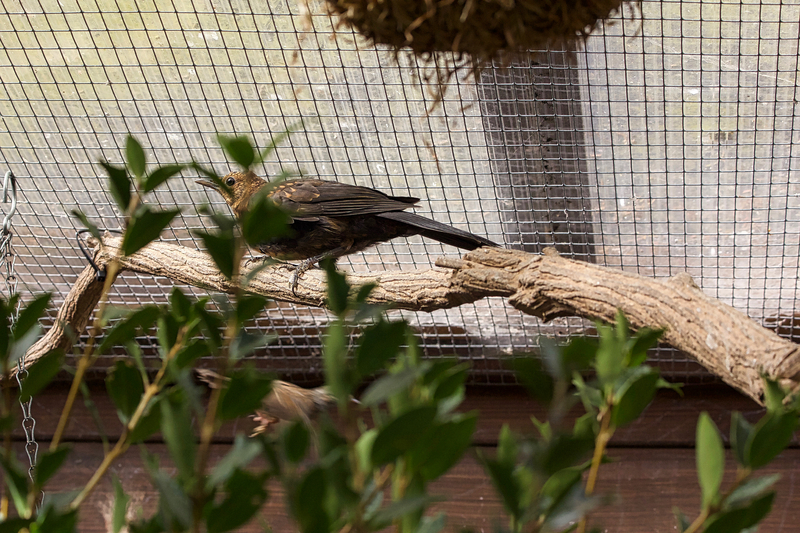 These birds are being kept in a specially designed species specific aviary, which will then be opened to allow the birds to leave in their own time. Support feeding will be provided and the birds are also able to return whenever the feel the need to. This way theses birds are given the best posibble chance to successfully return into the wild and to be re-integrated into their respective bird societies. Today dunnock Ali has been successfully soft released. Stay safe Ali! 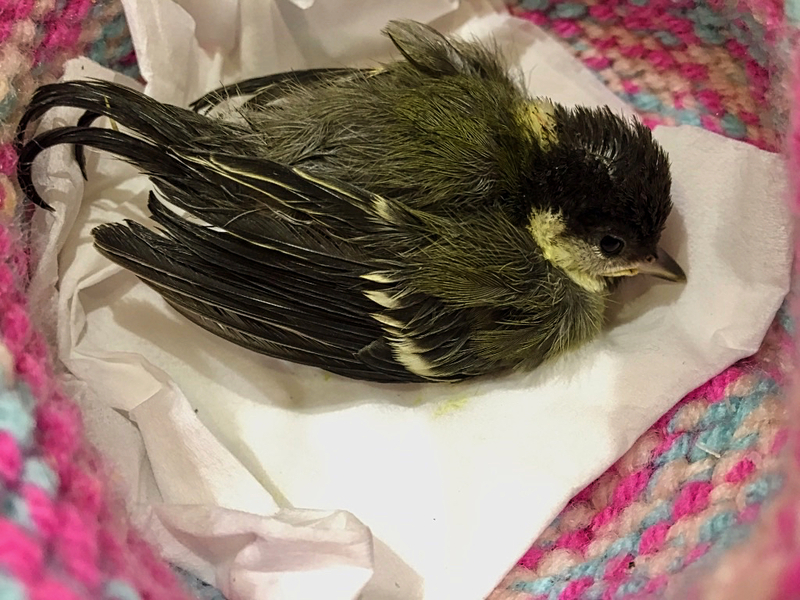 According to the British Trust for Ornithology (BTO) cats kill an estimated 55 million birds in Britain every year and such a predation could be contributing to long-term declines of garden birds. Cats also pose a significant threat to endangered mammals, reptiles and amphibians. Studies have shown that alone the presence of cats in the garden is causing directly and indirectly the death of nestling birds, as parents are disturbed, nestlings are not fed sufficiently and third party predators are invited for a free meal. Cats are domesticated animals. They are not a natural predator in our existing ecosystem, as they have been brought in existence by humans. It is estimated that UK households owned approximately 10.3 million cats in 2006, strays not being counted. Trap – Neuter – Release programmes are supported by several charities. However, these programmes are only partly addressing the impact cats have on our wildlife, as most neutered stray cats will be returned to ‘the wild’. With regards to wildlife conservation, it would be more efficient to stop breeding and selling cats completely and to focus on a foster system taking care of the existing cat population, to basically get all feral cats off the road. 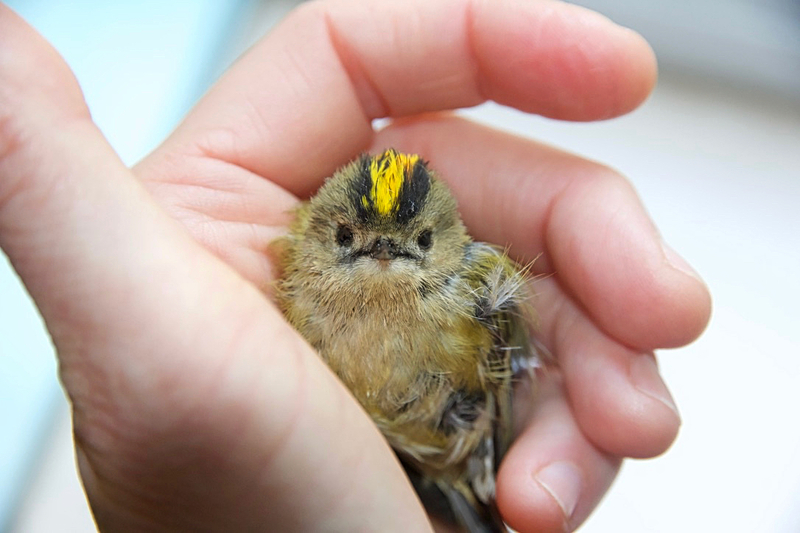 Birds caught alive and being seemingly uninjured should not be released. 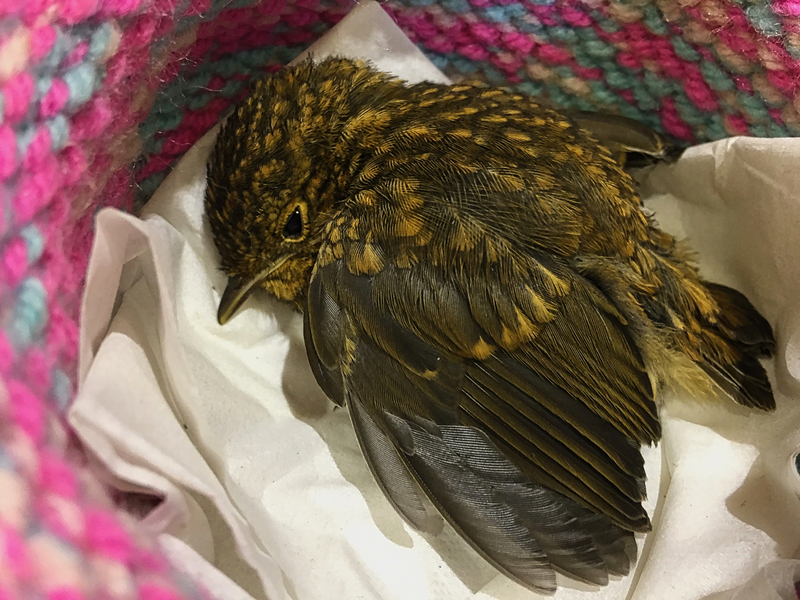 Please contact an experienced bird rescue immediately, even if the bird seems to be healthy and uninjured. Due to bacteria (Pasteurella multocida) within a cat’s claws and mouth it is essential that the caught bird is seen and treated with antibiotics straight away. If the bird is left for too long, there is a risk of a fatal infection (septicaemia). These are sad but proven facts. Fortunately there are solutions available a responsible cat owner can adopt. So what can be done? The best and safest option for a cat and for wildlife is to keep your cat indoors, or in a sufficient stimulating outdoor enclosure. Cats can also have a good time in the garden in a supervised fashion, or even be trained to be walked on a lead. In other words, the cat flap has to go. Collars fitted with bells or ultrasonic devices are widely recommended, but their effectiveness is questionable. To make them work at all bells need to be changed frequently, as cats are able to learn to adapt their movements to avoid to make any noise. As these collars serve the purpose to make cats more obvious to birds, they may simply provoke even more alarm calls during the nesting period, resulting in a higher nestling mortality as mentioned above. It is also recommended to spread out bird feeders so that feeding flocks might spot a cat more easily. The more birds you attract to your garden, the less likely cats are to catch them as there are more pairs of eyes keeping watch. Chicken wire can be placed around nest boxes and thorny vegetation can be planted to help protect nesting birds. In addition, ultrasonic devices, which are triggered by the cat, can help dissuade cats from using certain areas of a garden. Make sure feeders are not too close to possible cat hiding places. If the lid of a bird box is not secure, the nesting family becomes a target. Check twice when you are siting a nest box. Make sure it is not accessible to cats from a branch or the top of a wall. One of the things you can also do to keep wildlife safe is to keep your cat at least in at night. Sunset and sunrise are the times of day when cats like to go hunting most. These are also the times your cat is most likely to be run over. That way you do our wildlife and your cat a big favour.